Wedding season is almost here! We’re so excited to see all the different arrangements that we’ll be putting together this season. With all the planning, it can be difficult to figure out what blossoms go well together, let alone trying to figure out if they match the color scheme. While planning by yourself can be fun, rely on the professionals for assistance. So today, let’s discuss some tips from us to try make your floral planning stress-free! 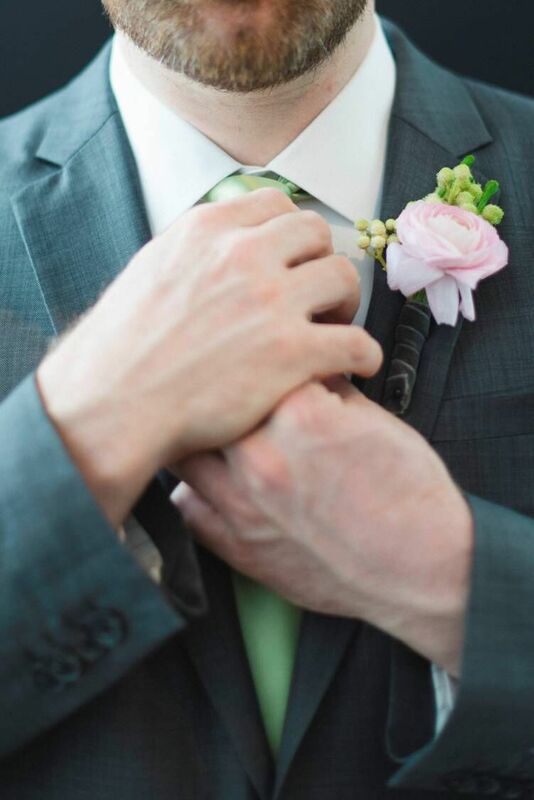 We teamed up with Bonobos to put together a list 6 things to consider when designing your boutonnieres. Great attire is best matched with great flowers! 2. Keep it simple. Select one element to coordinate with. Whether it is the color of the bridesmaids’ dresses or the pattern of the groomsmen’s ties, let one element be the anchor of your inspiration. Everything else will follow suit. 3. Consider the size. Small, simple boutonnieres are a nice choice for a clean, traditional look and look great on a tuxedo. If you’re hoping for something with a more eccentric look, try a mixed-blossom, largely scaled boutonniere as a focal point. 4. Think of the photo. You’ll be looking back on your wedding photos for years. When planning your attire and flower choices consider how it will all come together in a photo. If the wedding party’s attire includes a lot of prints and patterns, for example patterned dress shirts for the groomsmen, consider clean, simple florals. If the attire consists of solid colors and fabrics then textural, mixed-florals will be sure to pop. 5. A connective element. Boutonnieres are a small statement of the overall wedding look. Select a blossom from the overall decor for your guy’s bouts. This could be a blossom from the bridal bouquet, the girls bouquets, or even one featured in your table decor. 6. Let the groom shine. The bride shouldn’t be the only one getting all of the attention! Sometimes it is fun to have the groom’s boutonniere be different from the rest of the wedding party. Get creative with how you want the groom to stand out. His boutonniere could be a different color to set him apart or it could be a different blossom entirely. Follow along here for more floral inspiration and advice. We’d love to work with you to make your special day a beautiful success!